During any convention it’s important to stay healthy and hydrated, so a tasty fruit smoothie is one way to do that. When we got back from GenCon, we were excited to talk about all the games we saw and played. Of course we ate a lot of food there too…but we didn’t make any of it. So, we picked a few recipes with a common theme – dragon fruit – because GenCon always uses images of a dragon. It’s kind of their mascot. 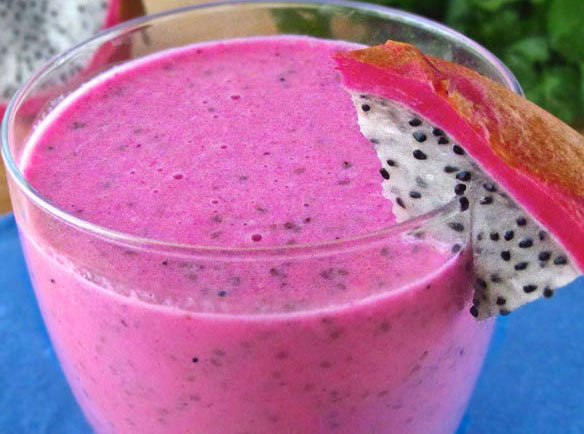 If you make this Dragon Fruit Smoothie, please post pictures on social media and tag us! Mix all in a blender and garnish with a slice of Dragon Fruit.